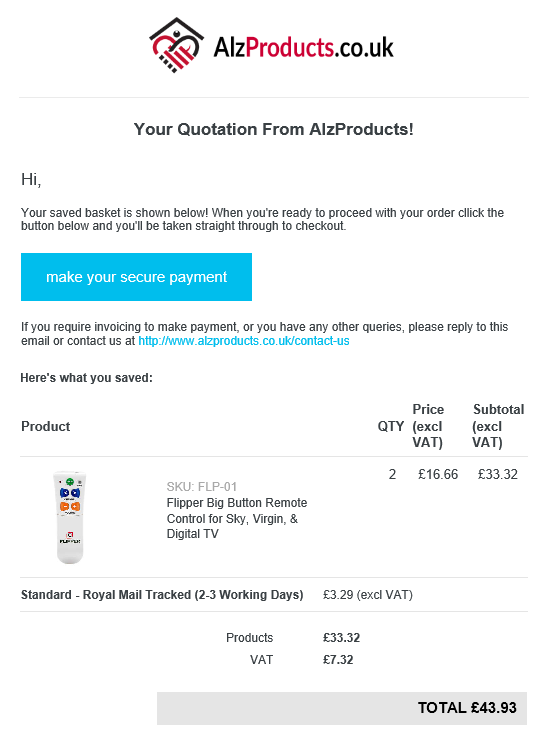 The AlzProducts email basket/quotation feature is the latest improvement to our ordering process. Although your details are not stored when you email a basket, all baskets are viewable by AlzProducts staff under an anonymous name. This allows us to check correct pricing and honour lower prices, and also to help with any queries you may have regarding the products in a basket.